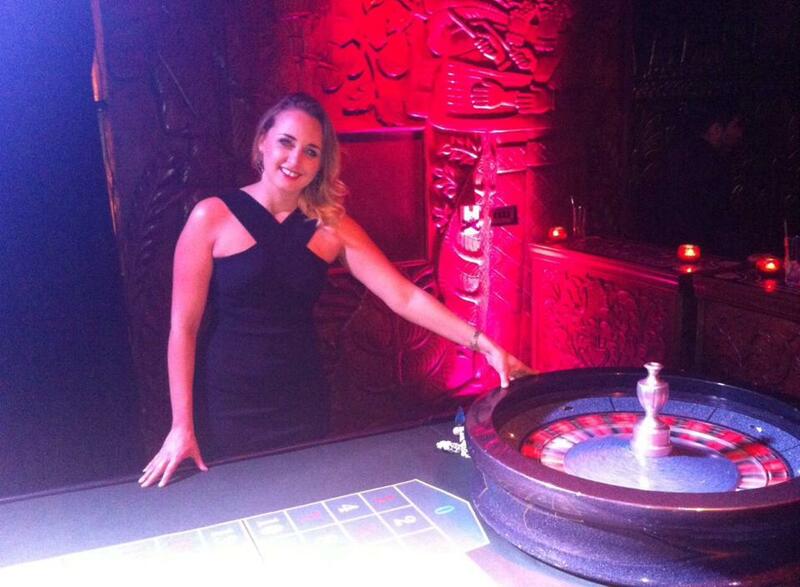 Four gaming tables Book our four casino hire table combination for around 120 to 150 guests. 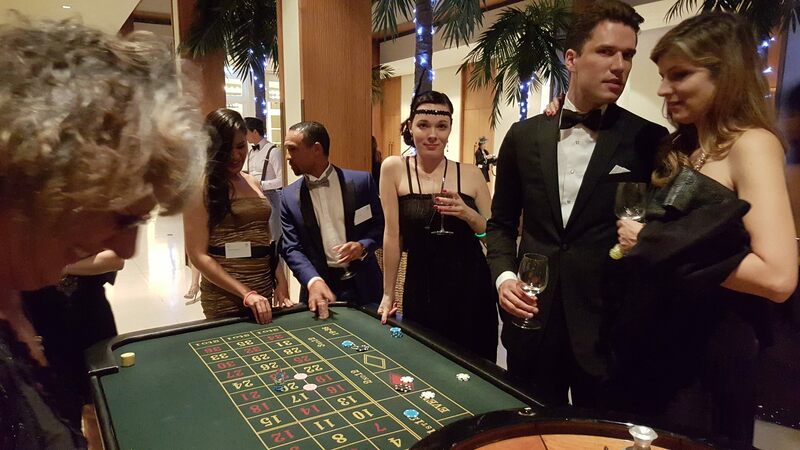 Hire one of our full size roulette tables and wheel, one or two blackjack tables, and choose from either dice or Texas Hold 'Em poker to complete the four table mix. 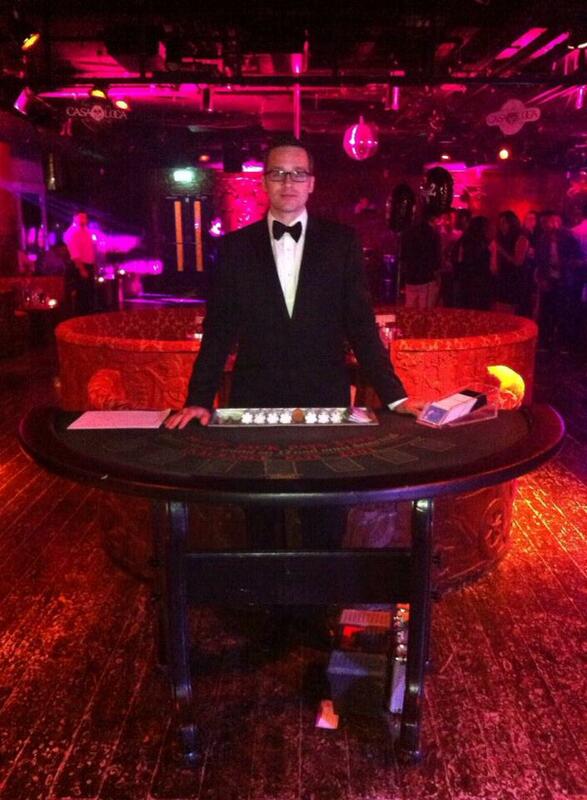 Professional croupiers in black tie for each casino table. 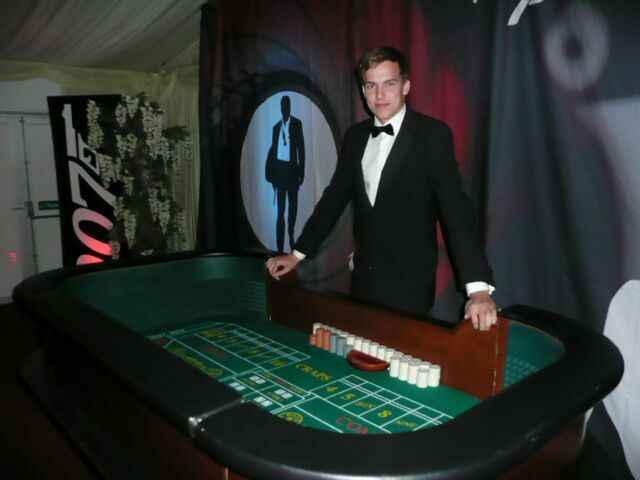 Delivered to your venue and set up before your guests arrive. Three consecutive hours of lively and fun entertainment for all.